Perhaps you’re much like I was a little over a year ago, oblivious to the fact that a ski hill even existed in the Quinte area. I remember driving east along the 401 back to Kingston after a visit home to my family, when I cruised past one of the iconic blue tourism signs with ‘Batawa Ski Hill’ in that classic white Highway Gothic font. I didn’t think much of it since I don’t really ski–anyone who knows me knows that I’m more likely to partake in the après portion of the day. What I’ve discovered since working in the Bay of Quinte is that the ski hill is a beloved part of this community. If the ‘small hill with big heart’ is unfamiliar to you, here are five things you need to know about Batawa Ski Hill. We’re going all the way back to winter 1959. A number of employees from the nearby Bata Shoe Factory decided to form a ski club, which 60 years later we know as Batawa Ski Hill. They cleared trees and brush to make space for the runs, using a truck-powered rope tow to bring skiers up the hill–talk about resourceful. A lot has changed since then, like the recently renovated chalet, which in its early days was simply a tent serving hot drinks (but on a cold day, who cares as long as you can find a hot chocolate?). You’ll also find a state-of-the-art snow machine, LED lights and a quad-chairlift that moves 2,400 people up the hill every hour! After being volunteer run for nearly 50 years, Batawa Ski Hill incorporated as a non-for-profit during the 2006-2007 season under the leadership of Sonja Bata. This has allowed the hill to hire a staff to keep it alive and thriving as a popular community spot all year round. Besides the obvious (hello, snowboarding) there are a number of activities at Batawa to appeal to every level of outdoor adventurer. 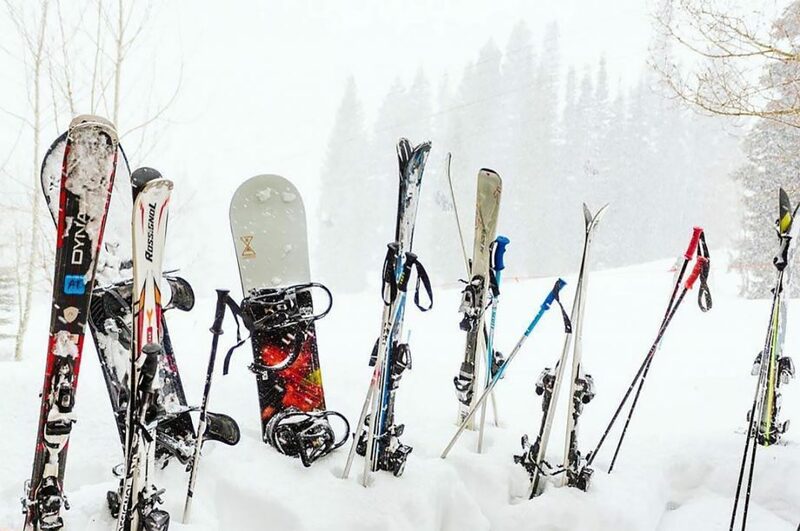 Try snowshoeing, hiking, cross country skiing and fat biking in the winter. Plus, they offer a program that teaches children with disabilities to downhill ski and snowboard. More of a summer person? 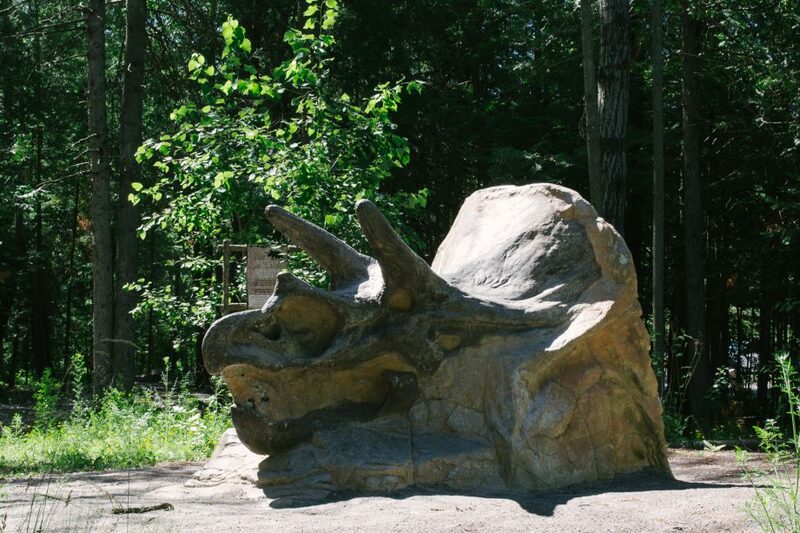 Hike or bike the trails, check out the asphalt bicycle pump track or dig up a dinosaur. Wait, what? Under the earth near the entrance to the hill lies a surprise of epic (and prehistoric) proportions. All of the tools are ready at the Dino Dig for your junior paleontologist to carefully brush away the dirt and uncover a 40-foot replica Tyrannosaurus Rex. See if you can name any of the other dinosaurs positioned around the Dig! And after all is said and done, you might find yourself relaxing from the day’s adventures at the chalet. There are a handful of pub nights at the ski hill where you can enjoy the delights of a dinner prepared by Chef Nicholas, live music and craft beer from a local brewery.